Vanguelis studied at Glion Hotel School in Switzerland where he obtained a Bachelor’s Degree in Hospitality and Tourism Management and at Wales University in the United Kingdom where he obtained a Bachelor of Science Degree in International Hospitality Management. After various experiences in operational management within the Hilton, Accor and Holiday Inn groups, he joined the MKG Group in 2001. At first he was in charge of different internal and cross-service projects, such as the implementation of business tools, to enable the group to develop. He then joined the consultancy teams and participated in the major missions entrusted to MKG. 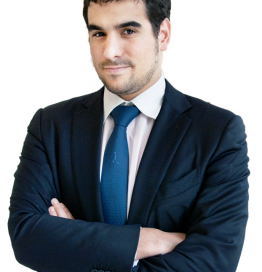 He is currently in charge of developing MKG activities outside of France, especially through the offices in Cyprus, Berlin and London. Vanguelis also taught at the Vatel Institute of Hotel Management in Paris for 3 years.